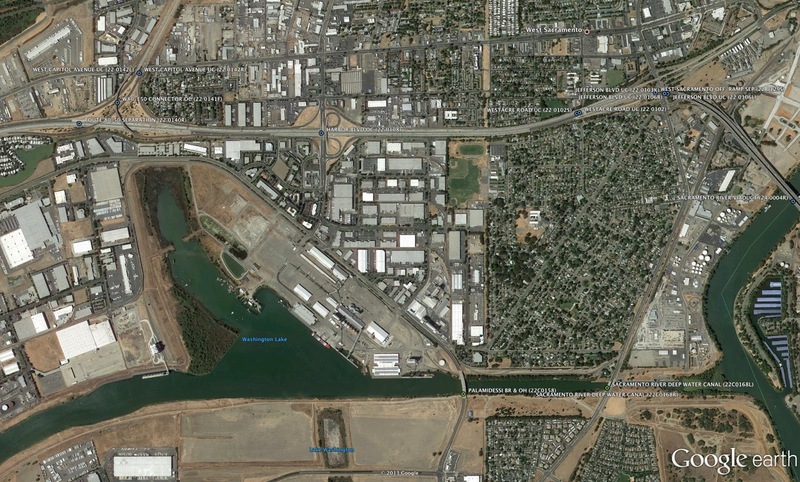 A little east of yesterday's Industrial Blvd Bridge and Overhead are the two Sacramento River Deep Water Canal Bridges (22C0168L/R). We previously studied these bridges back in 2010 when I was looking for movable bridges. 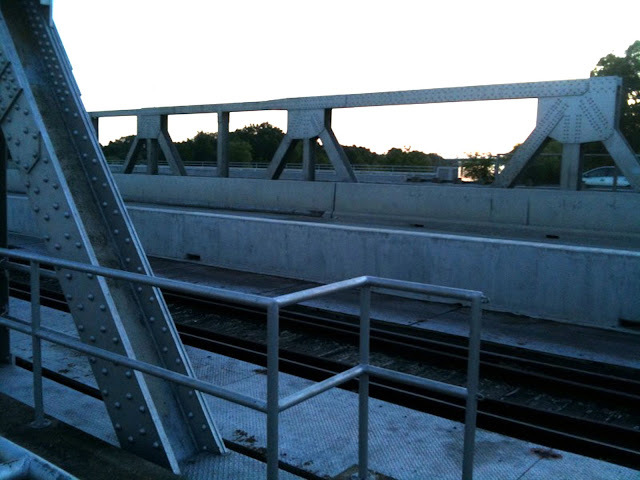 However, the left bridge is a single span precast prestressed girder bridge that was built in 2005 and the right bridge (in the foreground) is a single span steel truss that was built in 1960 and improved in 2005. Apparently the movable bridge had been replaced since no ships travel through the east end of the canal (see Google earth photo below). Yolo County, California Bridges: Jefferson Blvd Bridges across the Sacramento River Deep Water Canal by Mark Yashinsky is licensed under a Creative Commons Attribution-NonCommercial-ShareAlike 3.0 United States License.